Intel’s commitment to innovation and breakthrough technology comes with a responsibility to create a diverse and inclusive workforce and culture. In January 2015, Intel set a bold goal: In five years, we pledged to become the first tech company to reach full representation of women and underrepresented minorities in its U.S. workforce. This initiative is supported by a $300 million Diversity in Technology fund to accelerate diversity and inclusion throughout the tech industry. Additionally, Intel releases a biannual report to share our progress on our Diversity and Inclusion journey. The most recent report shows the initiative is working: Diverse hiring is at nearly 45 percent, and women comprise over 25 percent of Intel’s U.S. workforce — the highest since 2002. Diversity is critical to our business. Last year, we released a research study, entitled “Decoding Diversity,” with findings that showed improved diversity could generate an additional $300 billion in annual revenue for the tech industry. Today, we’re here to strengthen the pipeline and community of talent for the tech industry. 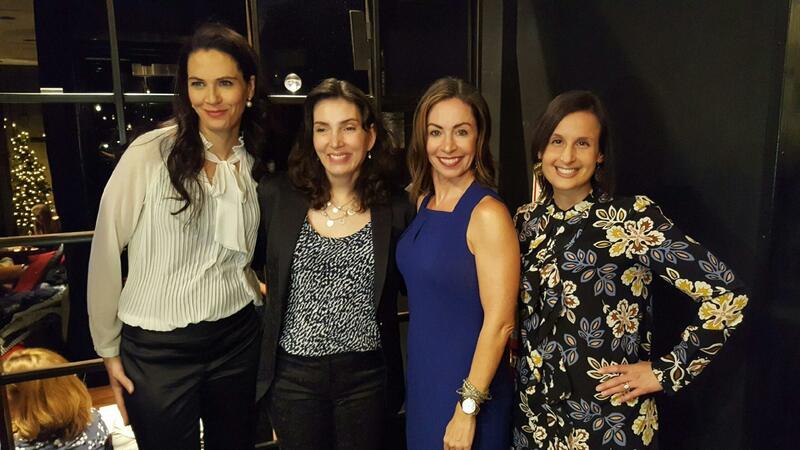 Intel and SAS organized a session at NRF, “Building Credibility at Work: Simple Strategies for Powerful Women,” a leadership presentation and networking event focused on how to exude confidence, personify competence, and convince others that you’re worth following. Specializing in leadership style, development, and communication, executive coach Dr. Suzanne J. Peterson detailed the makings of an admired leader and how you can become one. Working with clients like Morgan Stanley, JPMorgan Chase & Co., Fidelity, McDonald’s, and more has given Dr. Peterson insight into the behaviors that characterize the world’s most effective leaders. In her discussion, expect her to break down the keys to credibility, effective communication, and relationship building for leadership success. Join us at STK downtown from 5:00 to 7:30 p.m. Aside from receiving Dr. Peterson’s expert advice on how to become an admired leader and key tools for authentic networking — what it really means to build relationships and keep them alive — the event features a great networking reception. It will be the perfect way to finish NRF and put into practice some of the networking skills you just learned by trading leadership strategies with fellow women in business. The event is also open to men aspiring to be the best, most informed leaders and allies they can be when it comes to leadership and diversity. By helping women in business gain an extra resource to effective leadership techniques, behaviors, and communication advice, as well as relationship-building networking tips, Intel continues its commitment to the Diversity in Technology Initiative. Follow @IntelRetail to learn more about retail technology and leadership updates from NRF. Danielle Brown is Intel'’s Chief Diversity & Inclusion Officer. She is responsible for leading Intel’'s Diversity & Inclusion strategy and progress toward Intel’'s 2020 goal of reaching full representation in its workforce. In addition, Danielle serves as the Chief of Staff and Technical Assistant for Brian Krzanich, CEO, Intel Corporation.